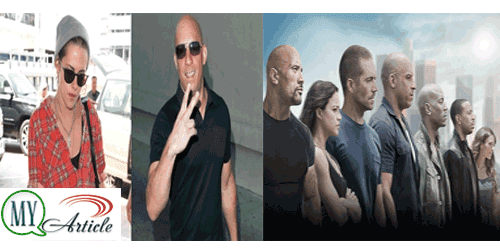 Vin Diesel was enjoying success FAST AND FURIOUS 7. It even broke the record for the personal Vin biggest first week sales. Reporting from the site Aceshowbiz, then Vin Diesel will appear in the film BILLY LYNN'S LONG WALK Halftime. The film will be directed by Oscar-winning director Ang Lee. BILLY LYNN'S LONG WALK Halftime novel of the same title. The story of the soldiers who had returned home after surviving the Iraq War. When preparing to return to the battlefield, the soldiers took part Victory Tour program in Texas. Previously, other names were expected to appear in this film is Garrett Hedlund, Steve Martin, and the beautiful Kristen Stewart. Christian offered a role as a sister of the character Billy Lynn. In addition to Vin Diesel, Chris Tucker also participated in the production of this film. However, until now there has been no news of what their roles in the film BILLY LYNN'S LONG WALK Halftime. Some big names are in this film, not to mention the director. Who is curious look collaboration Vin Diesel and Kristen Stewart?